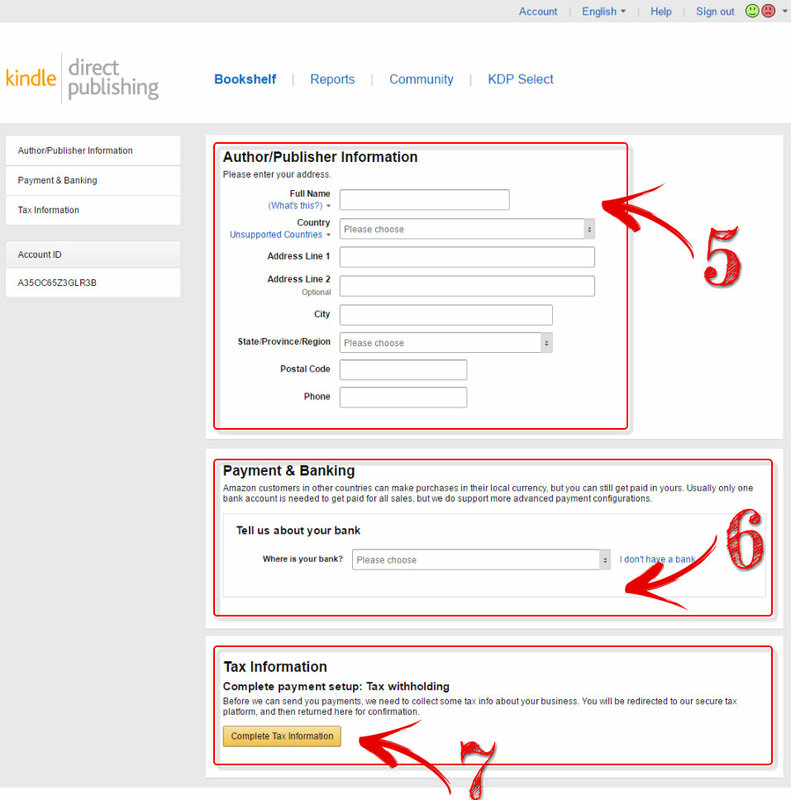 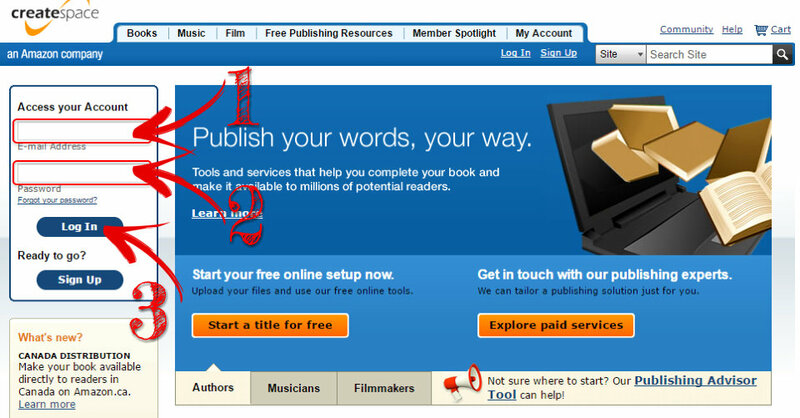 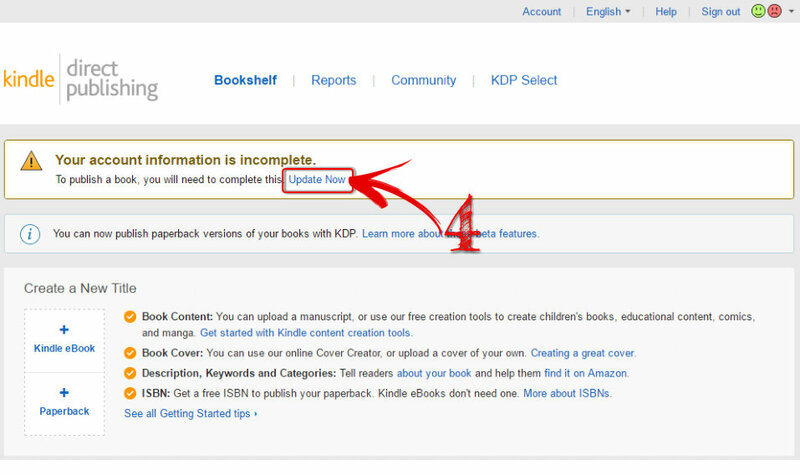 Once we have created your accounts with KDP and with Createspace we then require you to log in and add your banking details and also fill out and submit your tax information. 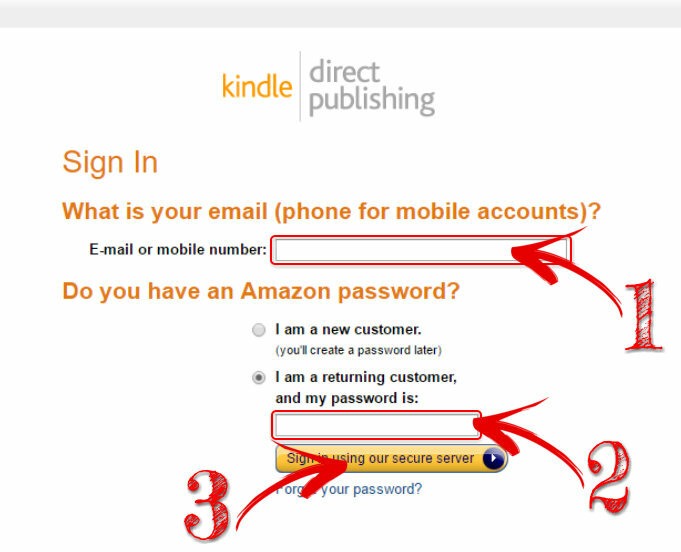 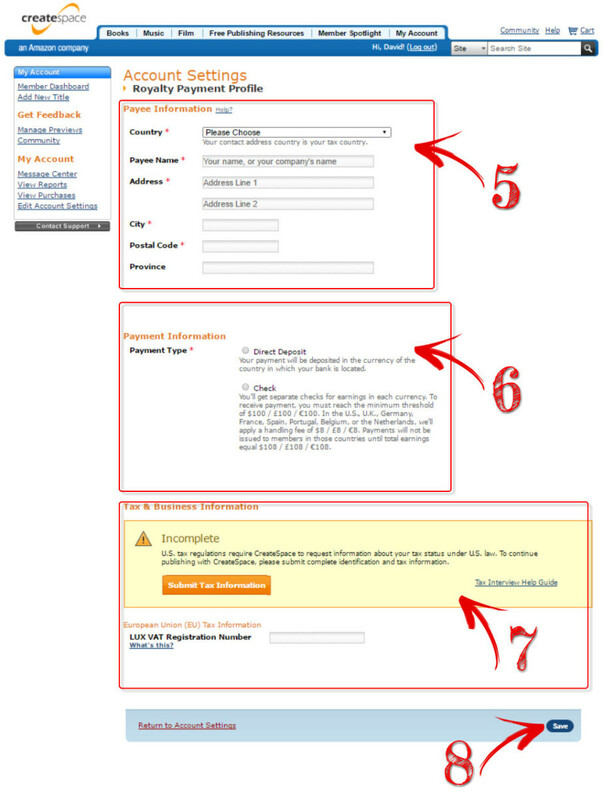 We will email you your access details for both accounts, you can then log in and complete the process. 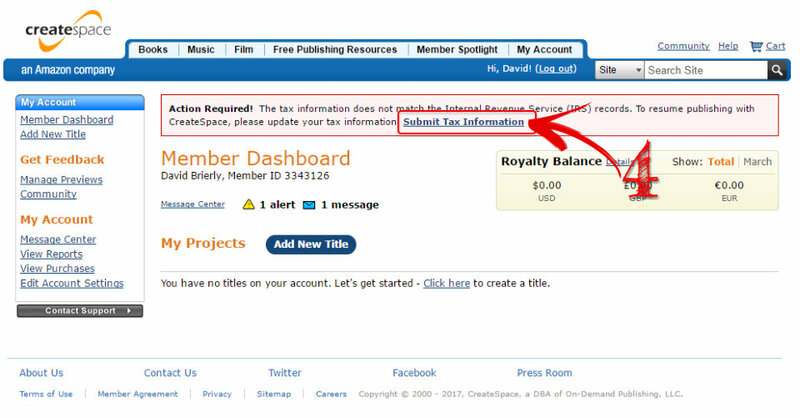 Once you have completed the needed updates you can drop us an email to let us know.